From Goodreads: Nimira is a music-hall performer forced to dance for pennies to an audience of leering drunks. When wealthy sorcerer Hollin Parry hires her to do a special act - singing accompaniment to an exquisite piano-playing automaton, Nimira believes it is the start of a new life. In Parry's world, however, buried secrets stir. Unsettling below-stairs rumours abound about ghosts, a mad woman roaming the halls, and of Parry's involvement in a gang of ruthless sorcerers who torture fairies for sport. 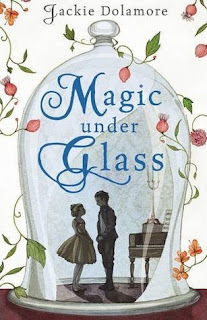 When Nimira discovers the spirit of a dashing young fairy gentleman is trapped inside the automaton's stiff limbs, waiting for someone to break the curse and set him free, the two fall in love. But it is a love set against a dreadful race against time to save the entire fairy realm, which is in mortal peril. From Goodreads: Lou Bertignac has an IQ of 160 and a good friend called Lucas who gets her through the school day. At home her father cries in secret in the bathroom and her mother hasn't been out of the house properly for years. But Lou is about to change her life - and that of her parents - for good, all because of a school project she decides to do about the homeless. Through the project Lou meets No, a teenage girl living on the streets. As their friendship grows, Lou cannot bear that No is still on the streets when she goes back home - even if it is to a home that is saddened and desolate. So she asks her parents if No can come to live with them. To her astonishment, her parents - eventually - agree. No's presence forces Lou and her parents to finally face the sadness that has enveloped them. But No has disruptive as well as positive effects. Can this shaky, newfound family continue to live together? A tense, brilliant novel tackling the true meaning of home and homelessness. From Goodreads: Kat and Emily have grown up without their mother for almost as long as they can remember. And now Dad is with Cassy and they all muddle along together well enough - even though they are living in a cramped caravan while their new house is being renovated. Then Cassy and Dad tell them that Cassy is pregnant, and everything seems to shift. Emily feels a new urge to find her own mother. How could she have left them the way she did? Never writing to them? Not communicating with them? And as Emily begins her search, not knowing what she will find, she is at the same time embarking on a new relationship of her own, that of her romance with Seb. This is an evocative and finely drawn novel about family relationships, in particular that of mother and daughter, and the shifting emotions of a teenager trying to make sense of her family and her world. From Goodreads: The Blakes are rather different to your usual neighbours. They are vampires and some of the members of the family date back to the twelfth century. One of the children, Solange, is the only born female vampire known and, as such, she poses a direct threat to the vampire queen. Her best friend Lucy is human, and when Solange is kidnapped Lucy and Solange's brother, Nicholas, set out to save her. Lucy soon discovers that she would like to be more than just friends with Nicholas. But how does one go about dating a vampire? Meanwhile, Solange finds an unlikely ally in Kieran, a vampire slayer on the hunt for his father's killer. 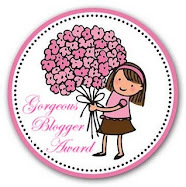 From Goodreads: Zara White suspects there's a freaky guy semi-stalking her. She's also obsessed with phobias. And it's true, she hasn't exactly been herself since her stepfather died. But exiling her to shivery Maine to live with her grandmother? That seems a bit extreme. The move is supposed to help her stay sane...but Zara's pretty sure her mom just can't deal with her right now.She couldn't be more wrong. Turns out the semi-stalker is not a figment of Zara's overactive imagination. In fact, he's still following her, leaving behind an eerie trail of gold dust. There's something not right - not human - in this sleepy Maine town, and all signs point to Zara. 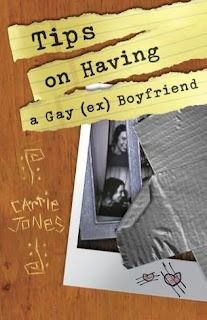 From Goodreads: It isn't every day that my high school boyfriend, Eastbrook High School's Harvest King, tells me he's gay. It's not every day that the Harvest Queen is dumped in the middle of a road with the stars watching the humiliation and the dogs barking because they want to come help tear my heart out and leave it on the cold gray ground. It isn't every day that my entire world falls apart. Belle believes that Dylan is her true love-maybe even her soulmate. Until one cold night when Dylan drops the ultimate bomb: he's gay. Where, Belle wonders, does that leave her? Should she have somebeen able to tell? Is every guy that she loves going to turn out to be gay? This beautifully-written debut explores what happens when you are suddenly forced to see someone in a different light, and what that can teach you about yourself. From Goodreads: When the Mayflower set sail in 1620, it carried on board the men and women who would shape America: Miles Standish; John Alden; Constance Hopkins. But some among the Pilgrims were not pure of heart; they were not escaping religious persecution. Indeed, they were not even human. They were vampires.The vampires assimilated quickly into the New World. Rising to levels of enormous power, wealth, and influence, they were the celebrated blue bloods of American society. The Blue Bloods vowed that their immortal status would remain a closely guarded secret. And they kept that secret for centuries. But now, in New York City, the secret is seeping out. Schuyler Van Alen is a sophomore at a prestigious private school. Suddenly, when she turns fifteen, there is a visible mosaic of blue veins on her arm. She starts to crave raw food and she is having flashbacks to ancient times. Then a girl from her school is found dead... drained of all her blood. Schuyler doesn't know what to think. Could those vampire legends really be true? 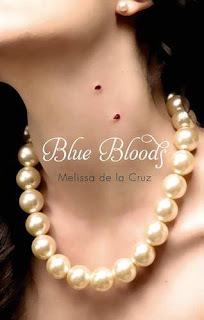 Steeped in vampire lore and set against the heady backdrop of the rich, young, and powerful in the heart of New York City, Blue Bloods will be devoured by Melissa de la Cruz's legion fans. From Goodreads: Bianca wants to escape. From Goodreads: Hannah Rose Brown is twelve years old when she finds out that her family is cursed. Desperate to find the truth about her father' disappearance, she travels to her ancestral home in Scotland, and discover a chain of dark secrets that plunge her into different worlds, timeframes and dangers. 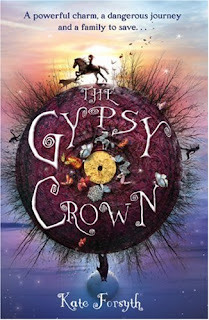 From Goodreads: Emilia Finch and her cousin Luka are gypsies. For them, that means they live a strongly traditional life, rich with story, music, dance, and magic, governed by the laws of the clan and the ways of the road. To the repressive Puritanical government of 17th century England, however, the gypsies are thieving, fortune-telling vagrants who are most likely allies of the devil. The only problem is -- how? Emilia believes in the legend of the charms: it is said that the luck of the Rom has turned sour ever since a long-ago gypsy matriarch broke her chain of charms, giving one charm to each of her five children. Since then, the gypsies have been persecuted and the families have dispersed. If they can gather the charms from the families, Emilia thinks, the strong magic of the Rom will somehow bring her family freedom. Luka, on the other hand, is more practical - he wants to enlist the help of the other clans to help the Finches escape. What a wonderful load of books! 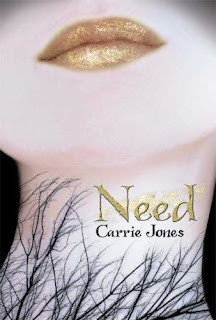 I've been dying to read that Carrie Jones book for a very long time now and I'm really looking forward to your review of it. I loved Drawing With Light and No and Me. Happy reading! The Puzzle Ring looks good! I also love that cover for Blue Bloods. It's not that much different but just enough to make it better. Loved Magic Under Glass, loved My Love Lies Bleeding...and will be interested to see what you make of Need! What a great bunch of books! 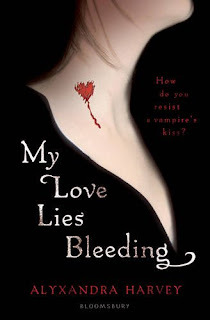 I loved My Love lIes Bleeding, and I saw that you liked it too! Can't wait for the sequel! Wow, awesome haul! I like the sound of Tips of Having a Gay (Ex) Boyfriend! So intriguing! Happy reading, and I look forward to your reviews! Some fabulous Bloomsbury books! I can't wait to start No and Me. 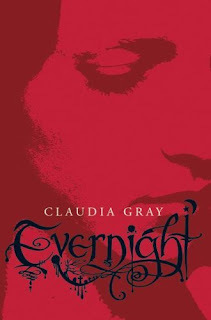 I'm envious of Evernight. I didn't think that was out as a UK release until next month? Enjoy! Great books! 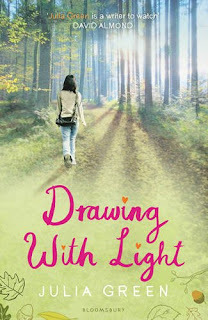 Drawing with light by Julia Green sounds great, I havent heard of it but it also looks beautiful. Well enjoy the books you got, I hope you like all of them! You got a great selection of books this week. 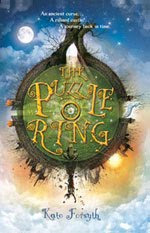 I am really looking forward to reading The Puzzle Ring. Happy reading! Oh my!! that Blue Blood's cover is freaky!! The skins looks so fragile and porcelain and then with the bites.... it's freaky cool. Awesome books! Drawing with Light looks awesome and I loved Evernight! A most impressive haul. Enjoy your books. Here's Mine. Lol, lots of bleeding necks going on there. But wonderful books this week! And the new Blue Bloods cover looks so good! The nice covers always come out after I buy the book! 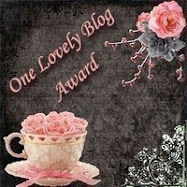 What a great vampire and Bloomsbury week! Enjoy them all!